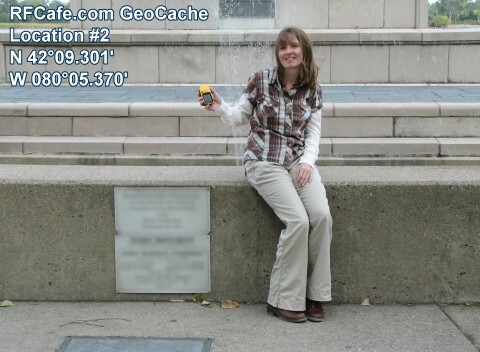 In case you have not heard, there is a high-tech "geek sport" happening worldwide known as Geocaching. Geocaching is a treasure hunting activity that involves finding a pre-placed container or placing your own container in personally chosen location for others to find. Precise GPS coordinates are provided for where the container is hidden. 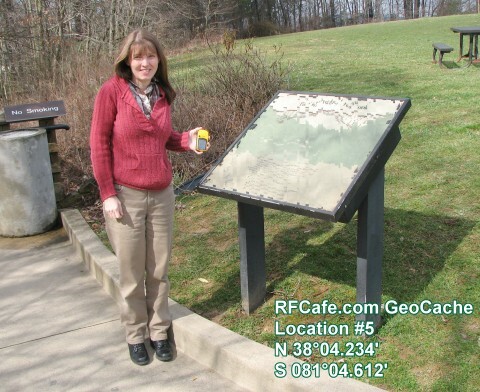 Those coordinates are placed on a website for other geocachers to use to try to find and enter into an online log. There are currently about 2 million sites worldwide. When you locate someone's cache, you log your unique ID on a paper kept in the cache container and also on an online log at the geocaching.com website. Cache containers can be any type of weatherproof vessel ranging from a micro-size vial to an ammo box (a very popular container). Sometimes people put trinkets inside that can be picked up and relocated to another geocache site. A special type of object called a 'Travel Bug' is used when the owner wants to formally track the movement of it around the country or even the world. 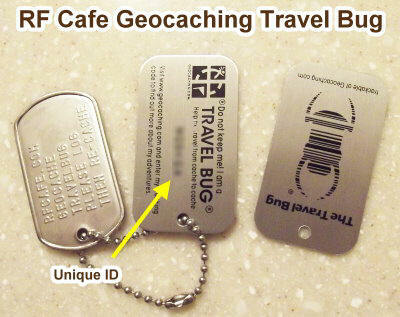 The Travel Bug is the size of a military dog tag and has a unique alphanumeric tracking code ID stamped on it. 12/7/2012 Update: I have purchased a few Travel Bugs and would like to get some of them planted outside the U.S. Each one consists of a Travel Bug strung together with a dog tag having RF Cafe stamped on it. If you are a Geocacher and would volunteer to plant one of my tags, I will be glad to mail one to you. One Travel Bug would like to go to each of the following regions, so please contact me if you are interested. As the Travel Bugs are distributed, I will have a Google Map showing their travels. Thank-you. I was going to get a waterproof container and place an RF Cafe T-shirt or other item in it for leaving at the cache sites, but there are two basic problems with that. One, the size could end up being wrong for the lucky geocacher, and two, there are laws against placing objects without written permission on a lot of government land (parks, roadside stops, etc.). 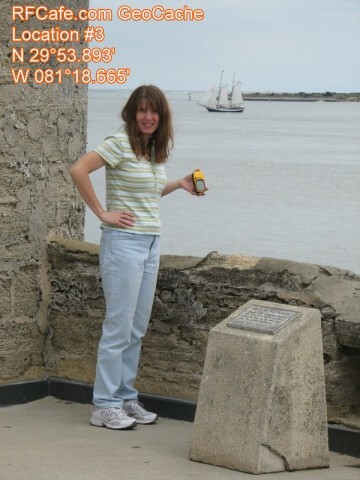 So, instead, I decided to take photos of the locations, like the ones below, and requiring geocachers to send in an e-mail that tells what is on the plaque. 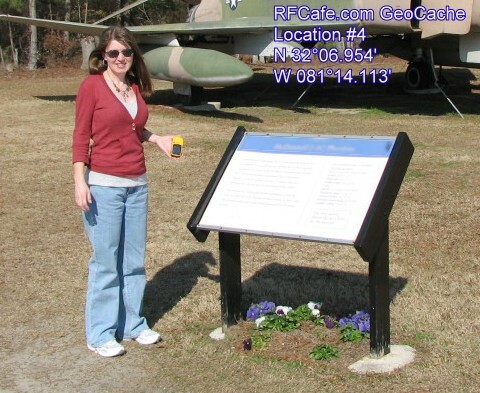 This is technically known as "Virtual Geocaching." Also, because it might be possible to figure out the required info without actually being there, a photo of yourself where the professional model is standing in my picture is required to qualify (you can blur your face if you want to maintain anonymity).